Constructed of FDA compliant materials. 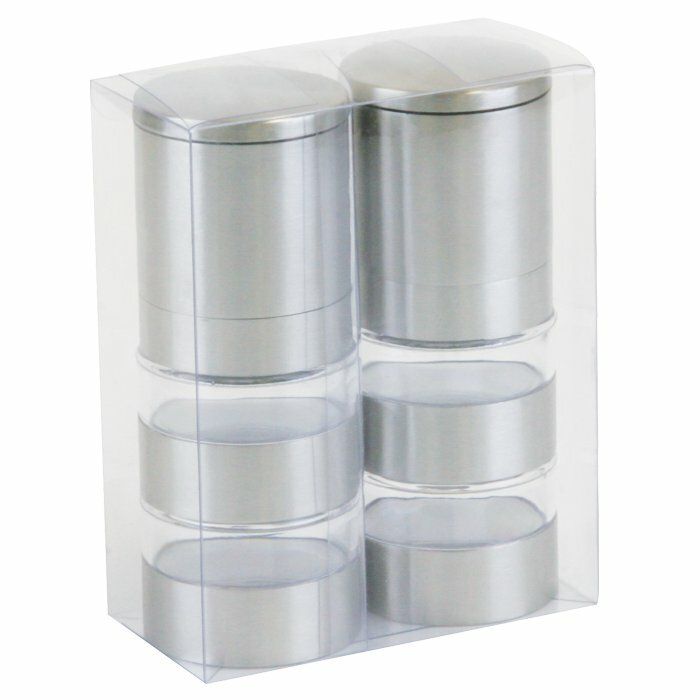 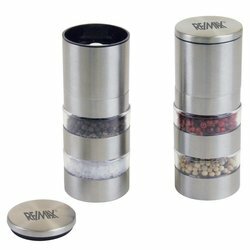 stylish Stainless Steel salt and pepper set features four plastic containers. 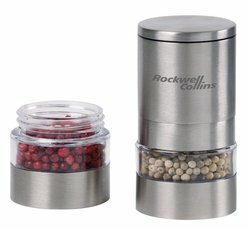 Ceramic mechanisms that can be adjusted for fine and coarse grinds. 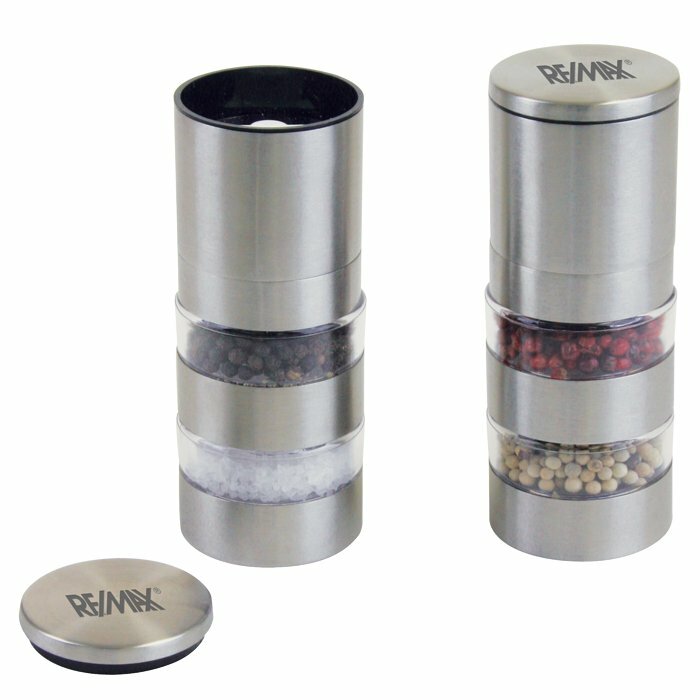 Includes a cap that catches leftover grinds from spilling on to counters, tables or shelf tops. 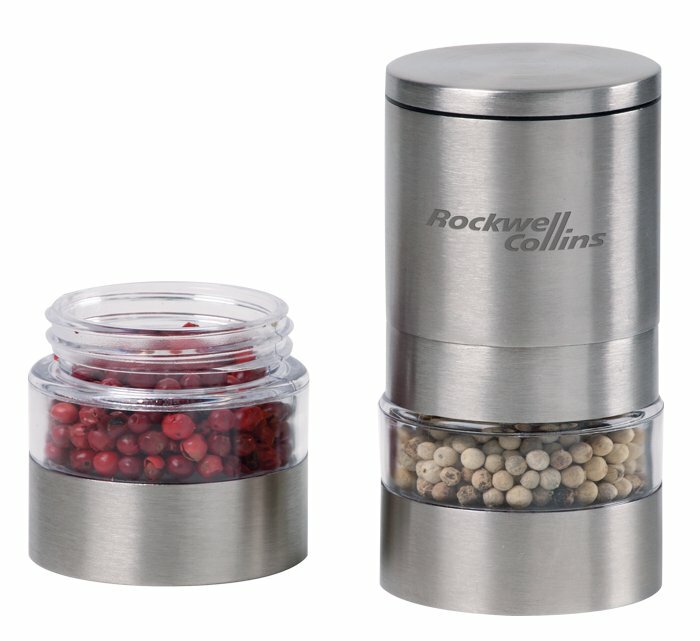 Price: Includes Laser Engraving or TruColor™ on One Location.